At the intersection of La Rue and South Virginia on the south side of Reno’s midtown district, NV Energy Gas Ops Working Foreman Mark Hicks and his crew were busying offsetting a gas main. This 10-foot section of pipe is part of a much larger project that NV Energy’s gas ops team has been working on since September. It’s relatively commonplace work for the crew, but on this particular day, the crew had to contend with a thick blanket of snow on the ground, adding additional challenges to the tough, rocky terrain they were digging in. 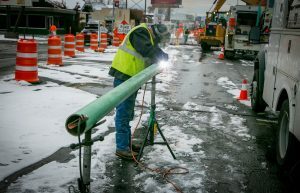 Reno averages about 22 inches of snow annually, so the six inches of snowfall that hit the area the day before was definitely a bit more than what NV Energy crews are accustomed to working in. But they didn’t allow the wintery weather to get in the way of them completing the job in a safe and timely fashion. 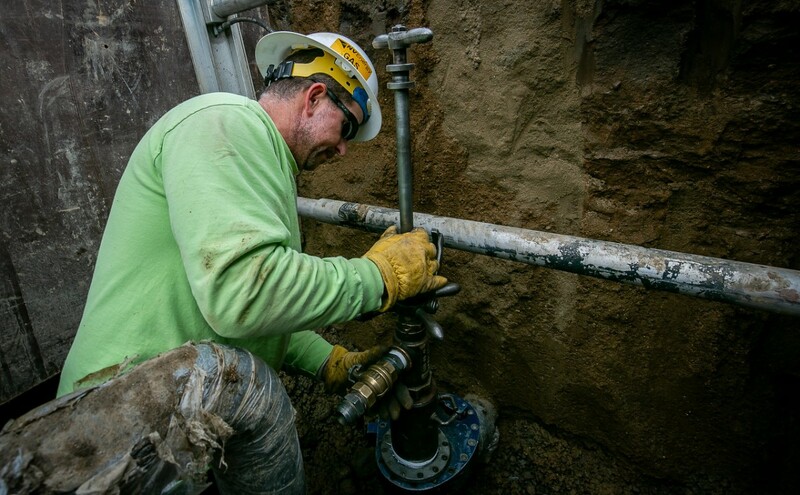 Meanwhile, on the outskirts of town, another NV Energy gas crew was working to remove old valves and couplings that are no longer up to snuff. 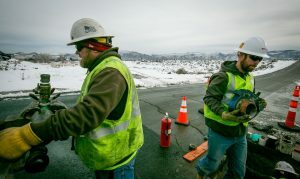 NV Energy is about half-way through this expansive, years-long upgrade, and the gas team completes about a dozen of these change-outs per month, but with half a foot of snow on the ground, everything becomes a bit trickier, and time is of the essence. 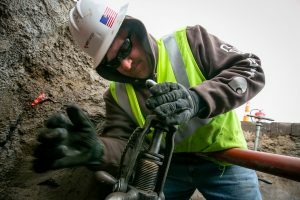 “We spread some ice melt around the job site and we’re getting her done because we don’t want this hole to fill up with water,” Kohlman said. 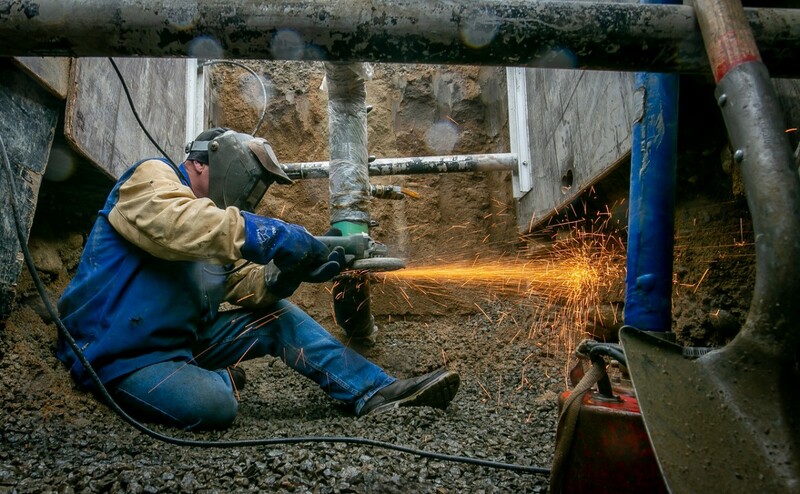 While the IBEW 1245 members who work on the gas side of NV Energy may be assigned to all sorts of different tasks, they share a common bond through their union brotherhood. Since Nevada is a so-called “right to work” state, the employees are not required to pay union fees, but the majority of them choose to voluntarily maintain their membership with IBEW 1245 because they value the protections and benefits that the union has fought to secure for them. In fact, living in a right to work state has caused many of the members to have an even greater appreciation for the union. Hicks expressed a similar sentiment. Eric Culp hands a tool to Roberto Peña of NV Energy Gas in Reno, Nevada on January 8, 2019.